Kefir is simple and inexpensive to make at home. Kefir is used to restore the inner eco-system after antibiotic therapy. Kefir can be made into a delicious smoothie that kids love. Kefir is excellent nourishment for pregnant and nursing women, the elderly, and those with compromised immunity. What if I’m lactose intolerant, and don’t do dairy? Or don’t digest milk products well? Is kefir right for me? The beneficial yeast and friendly bacteria in the kefir culture consume most of the lactose (or milk sugar). Eat kefir on an empty stomach first thing in the morning before (or for) breakfast and you’ll be delighted to find it can be easily digested — as numerous people who have been lactose intolerant for years have discovered. Eat Body Ecology Diet foods, which are drying. Use proper food combining techniques to make kefir less mucus-forming (see the Body Ecology Diet 7th Edition). Drink plenty of water and eat grains that have been soaked and then cooked. These add moisture and fiber to the colon. Clean your colon. If a colon is free of blockages, kefir is tolerated more quickly. 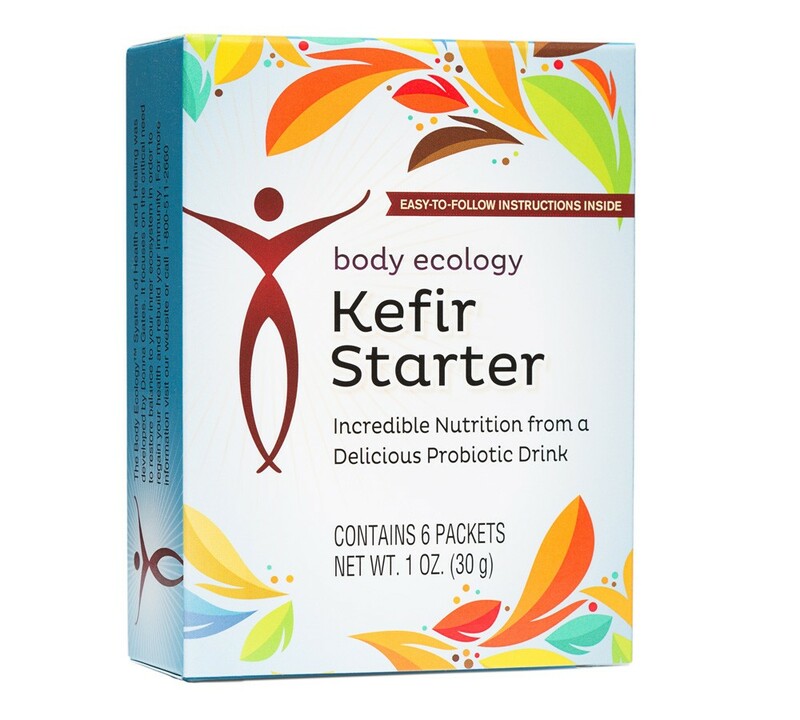 We have found that people who report having trouble with kefir, often have not followed the advice on colon cleansing. You probably also need to add acidophilus and bifidus bacteria to your small and large intestines. These wonderful bacteria also help to clean and improve the health of your entire digestive tract. Be sure to get adequate exercise. Exercise stimulates the colon and improves elimination. Tips for making perfect kefir from milk. Time and temperature are two important factors that determine how thick and tasty your kefir will be. In the warmer months kefir may be ready to drink in 18 hours. If you let it sit out too long at room temperature, it will become thick and eventually start turning into cheese and whey. If your kefir is “lumpy” and too sour, you are definitely leaving it out too long. It should be creamy and “drinkable”…a little thicker than milk. At this point, shake it well and place the kefir into your refrigerator. It will thicken a little more since it is continuing to culture, but at a much slower pace. Making kefir is an art, not an exact science. With each batch you make, adjust the time until you get it just the way you like it. Each area of the country and each kitchen seem to be a little different. Donna finds that her kefir always cultures faster for her in California than in Atlanta. Body Ecology’s starter culture is just that…a starter. After you start your first batch of kefir (in milk or the liquid from the young coconut), you can use a small amount of that first batch to make your second batch. How much to use is included in the instructions found in each package of starter. If you transfer too much kefir from one batch to the next, you’ll create a product that cultures too fast and tastes too sour. You can make about 7 such “transfers” from one batch to the next. After that, the yeast start to get crowded out by the more aggressive lactobacillus. How much potassium and phosphorus are in kefir?